CF London, an extension of award winning luxury interior design brand Casa Forma, specialises in providing a bespoke solution to Developers or Private Clients designing, renovating and furnishing Central London properties they own. 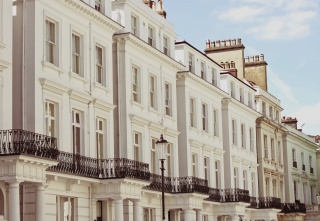 CF London provide an interior design service that is custom made for the luxury residential development market. At the heart of our vision is the synergy between interior design and interior architecture. Creating beautiful bespoke interiors that are a natural extension of the interior archi­tecture. At Casa Forma London we like to have a flexible and transparent approach to professional design services. Casa Forma London can work with an executive architect for major projects, or alternatively depending on the scale of a project, we can deliver a turnkey design and construction service. In addition to the Interior Architecture and Design Services, Casa Forma London Clients are provided with turnkey development solutions including project management, quantity surveying, construction management, sourcing, procurement, home dressing & staging and logistics. Also available to clients is our bespoke art advisory service introducing them to some of the world's rarest antiques and art collections. The team has over 25 years' experience in a number of fields including; Interior Architecture & Design, project management, sourcing and procurement. As a dedicated team of highly qualified professionals working in partnership with our financial and legal advisors we can guide you through the entire process.